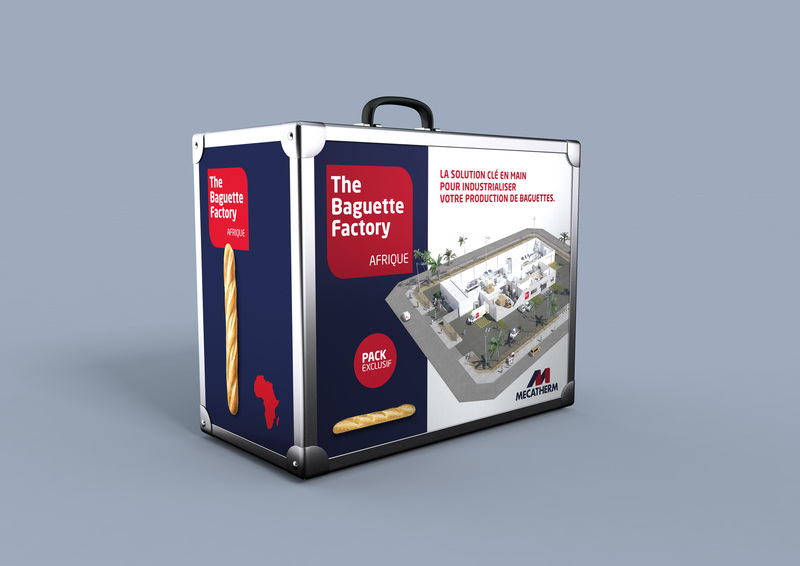 MECATHERM, one of the world's leading manufacturers of automatic production lines for the industrial bakery sector, has unveiled The Baguette Factory, a simple and profitable turnkey solution aimed at African clients looking to move into industrial baguette production. MECATHERM handles many projects around the world - particularly in Africa, where many of the population (in western, central, southern and some eastern areas of Africa) consume crusty bread such as baguettes.This market, with its primarily traditional production methods, offers attractive opportunities for investors, yet it also has its own idiosyncrasies. MECATHERM has been able to gain an understanding of these and incorporate this awareness into its new range, the Baguette Factory, which is specifically aimed at this market. Training and assistance provided by MECATHERM bakery technicians. Additional services are also available to ensure each project is a success, ranging from support during the feasibility study phase and help with recruiting factory managers capable of handling these types of projects, through to assistance in sourcing finance, plus a multitude of after-sales services. The Baguette Factory is supported by a network of reliable, well-respected partners such as the French public investment bank BPI France which helps provide finance solutions. With the MECATHERM range, investors can be sure to see a return on investment in 3 to 5 years, even taking into account the limitations and specific economic factors of the region. This unique global approach allows investors to move into the industrial bakery sector, regardless of their level of familiarity with the industry or with managing large-scale projects.The Baguette Factory is aimed not only at investors seeking a quick return on investment but also at manufacturers looking to diversify their activities, millers who would like to invest in the processing of their flour, and bakery professionals who already have several sales outlets and wish to boost their capacity.This is a solution that will enable them to centralise their production so that they can more effectively tackle the shortage of skilled labour and control the quality and uniformity of day-to-day bread production. "The industrialisation of the breadmaking process makes it possible to achieve high production volumes, optimal hygiene conditions in production, and finished products of uniform quality. However, experience has proved that simply supplying a ready-to-use production line is not always enough to guarantee a project's success. This is why, through working closely with specialist partners and local representatives, we have developed a turnkey solution to support our clients during every stage of their projects and to ensure they can easily overcome any obstacles they may encounter along the way," explains MECATHERM's Sales Director for Africa, Jean-Yves Bruckert. "Developing the African market and providing on-site support for our clients are among our key priorities. The Baguette Factory embodies our vision for the industry and our expertise in the African market. An initial project is currently approaching completion. The factory is scheduled to open in the spring," concludes MECATHERM's CEO, Olivier Sergent. 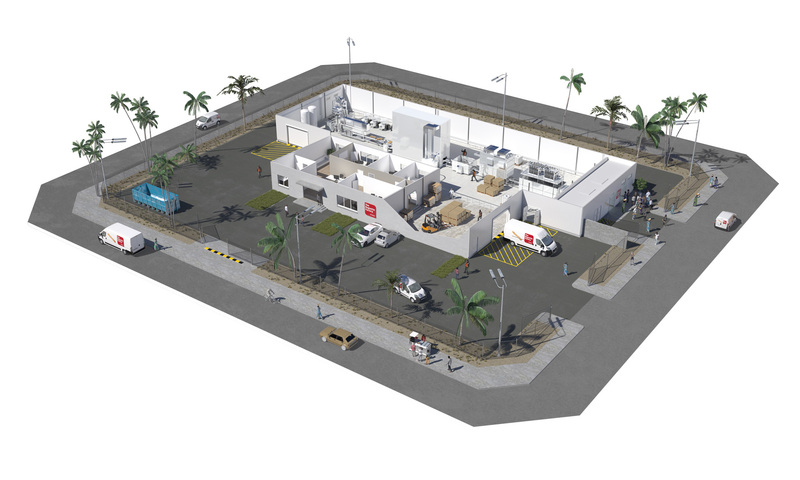 The Baguette Factory, a turnkey solution for industrial baguette production, for the African market. MECATHERM, founded in 1964, is a French industrial company and leader in the industrial baking sector. The company operates 3 production sites in France and has commercial offices in three countries throughout the world. The company, headed by Olivier Sergent, employs more than 400 staff. More than 780 automated production lines are currently operating in 69 countries on five continents. They produce the equivalent of 30,000 tonnes of baked goods every day. Their hourly production rate ranges from 700 kg to over 5 tonnes of dough, outputting a variety of products optimally suited to the client's industrial requirements and distribution method: fresh baked and part-baked, and frozen unbaked, pre-proofed, part-baked or baked.